Hi , I have been sorting out cupboards and found this at the back of one. 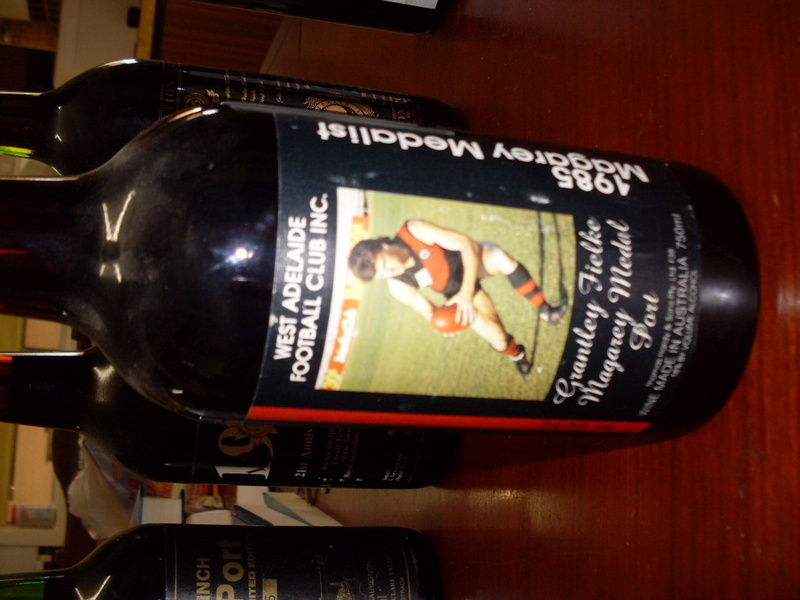 A bottle of port 1985 Magarey Medalist Grantley Fielke. Will sell to the highest bidder. Not sure if the port is still okay to drink though, but certainly a collectors item. I also live in Loxton, in the Riverland, so buyer would have to collect it. If you don't get too much interest would you consider donating it to the WAFC History Group. We are compiling rare memorabilia & artefacts of West Adelaide's history which are all kept under lock in a special room in the clubrooms. If you wish to consider this, the club would greatly appreciate your philanthropy. All items are covered by insurance & are not for re-sale by the club. Thanks for the suggestion, will see, I have an ongoing "affair" with the vet atm that is costly, hence me selling this.